A mobile notary is a vital part of running a successful business because it strengthens the agreements made between two different parties. There was a time when a handshake and a verbal agreement would do the job, but these days, you need to protect yourself and your business, and most businesses and individuals that you work with will be more than happy to get a notary public involved because it also protects them no matter what you do. Here are a few examples of businesses in DC and Maryland that can benefit from notary services. There are a lot of legal and binding documentations involved when you are signing to buy a home, get fast business loans, a property, or vehicle, or invest in insurance for your health. It’s important that you bring in a third party that has is unbiased and knows they are not there to provide advice, but to identify that you and another party are entering in a formal agreement that is binding. It doesn’t matter whether the car dealership sells new or used vehicles, you and the dealership will want to protect this investment. In fact, many individuals that are selling cars will also require that a notary is involved when a transaction like this is being made. Title companies will also benefit when hiring a notary because of the legal protection that it provides all parties involved. Schools do a lot more than teach new skills! They have a lot of official business to attend to such as organizing and buying computer systems, maintenance contracts, bids for food and vending machines, and much more. Hiring a notary will be necessary for these times, and at DMV Notary Mobile we provide mobile services in Washington DC and Maryland so that we can come to you when you can’t get out from behind your desk. When working with clients that want to buy and sell homes, real estate agents will invest a lot of time and resources to ensure a successful sale. They’ll be dealing with a variety of businesses that they’ll want to ensure are sound and going to fulfill their services in a timely manner, and finding a notary near you during a time when multiple businesses are involved and a lot of complex paperwork is a smart move. Home improvement businesses will work with individuals, as well as other companies, and there will be many times they’ll require a notary for bids and materials. Even small construction companies will find value in having a mobile notary on hand that they can rely on. Whether you are an individual that is starting a business or you are part of a larger corporation, there will be times when you go into an agreement with someone that will require an unbiased third party to witness and notarize documentation. 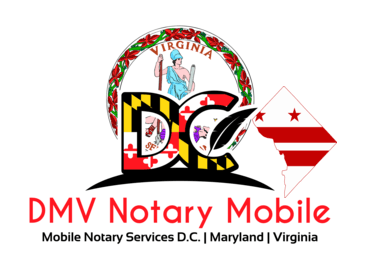 Finding a mobile notary in DC now that can provide services at their business, as well as come to you, will save you time and hassle in the long run.